The USA Today bestselling author of the Brenna Spector series returns with her most ambitious book to date, a spellbinding novel of psychological suspense, set in the glamorous, wealthy world of Hollywood—a darkly imaginative and atmospheric tale of revenge and betrayal, presumed guilt and innocence lost, dirty secrets and family ties reminiscent of the bestsellers of Laura Lippman, Gillian Flynn, and Harlan Coben. Nobody’s perfect. Everybody’s got a drawer somewhere with something hidden in it. 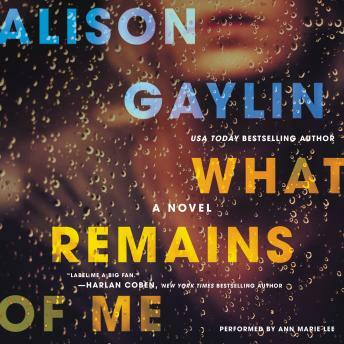 Written with masterful precision and control, What Remains of Me brilliantly moves forward and back in time, playing out the murders side by side—interweaving subtle connections and peeling away layers of events to reveal the shocking truth.